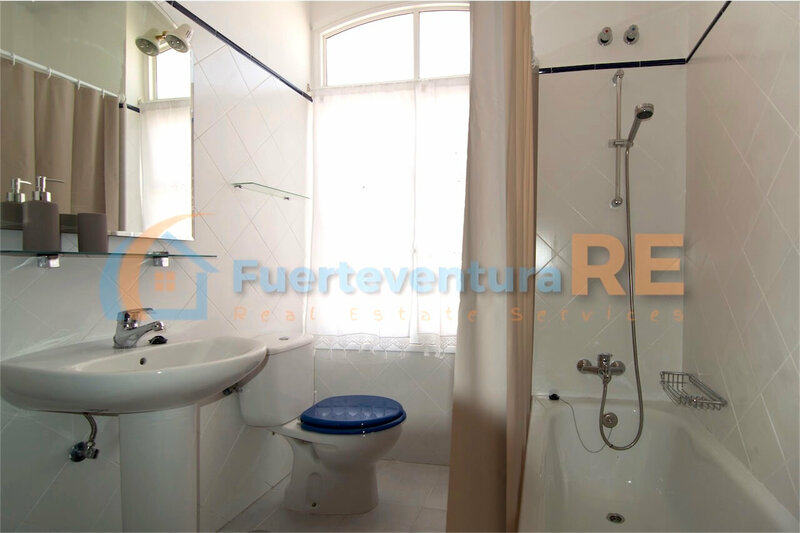 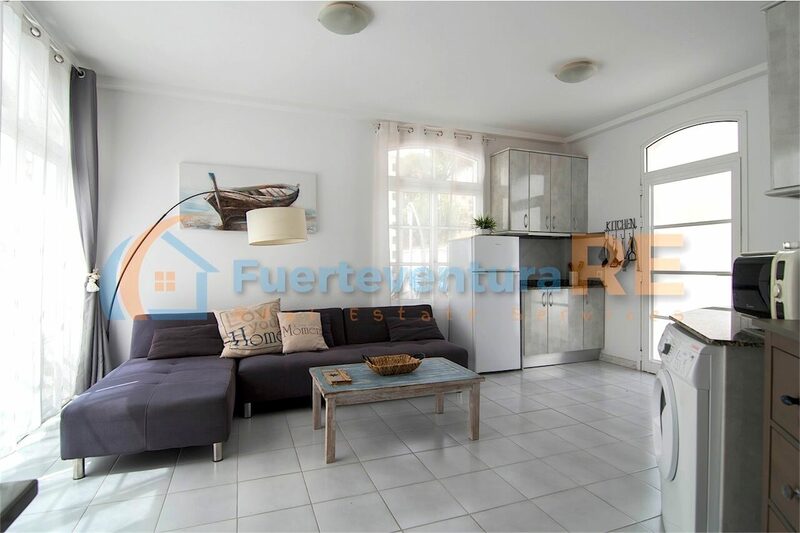 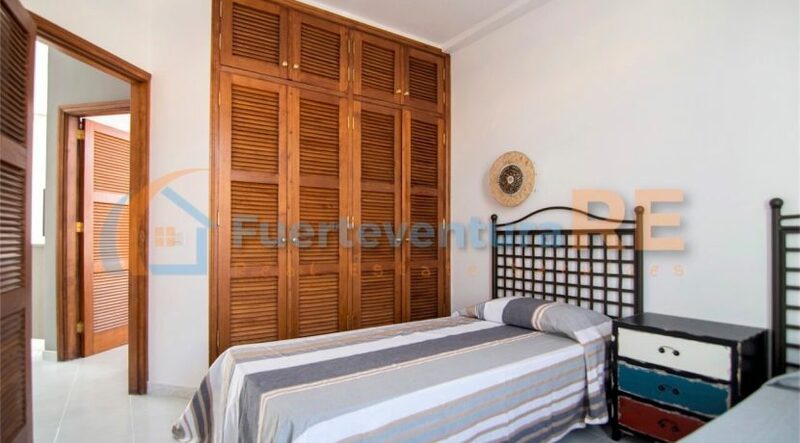 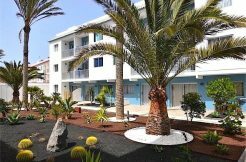 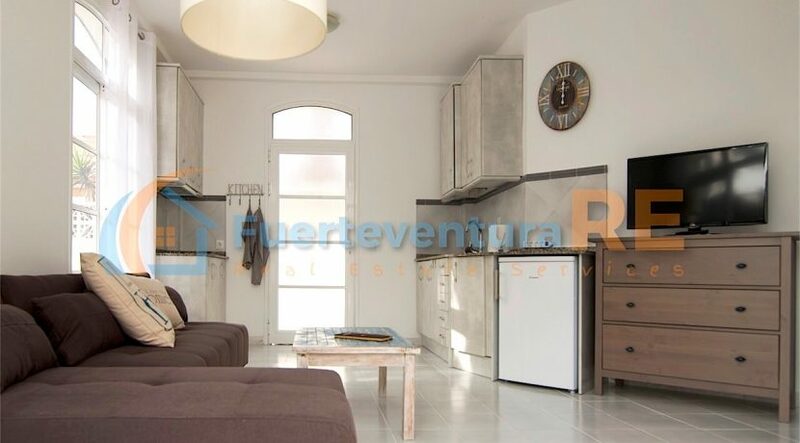 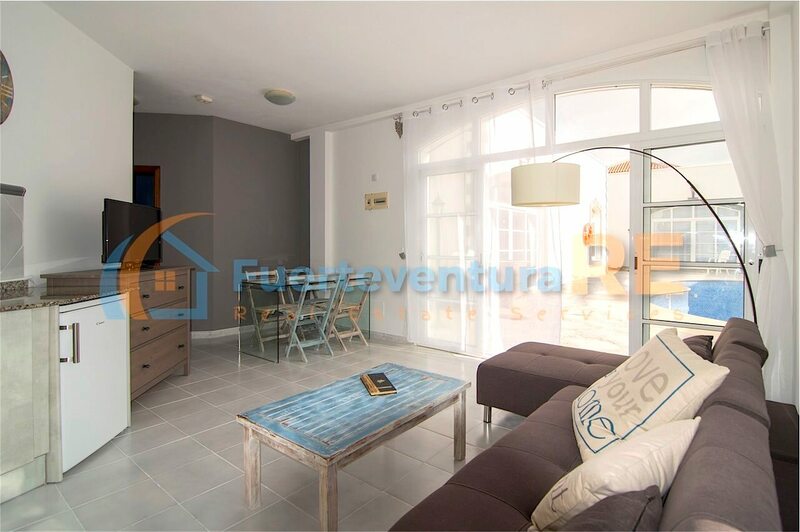 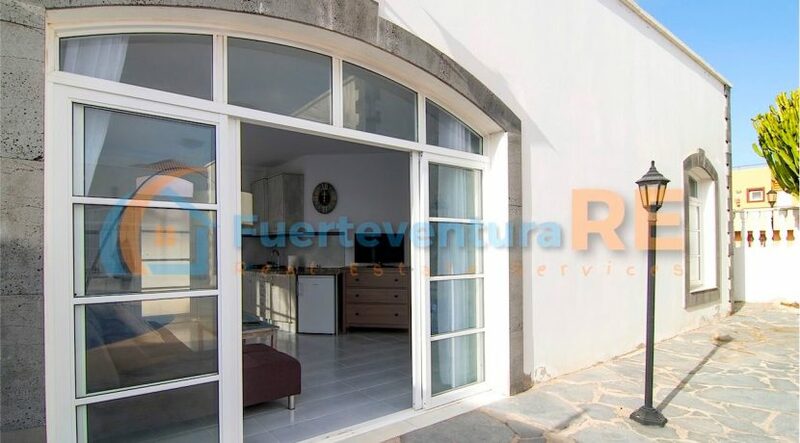 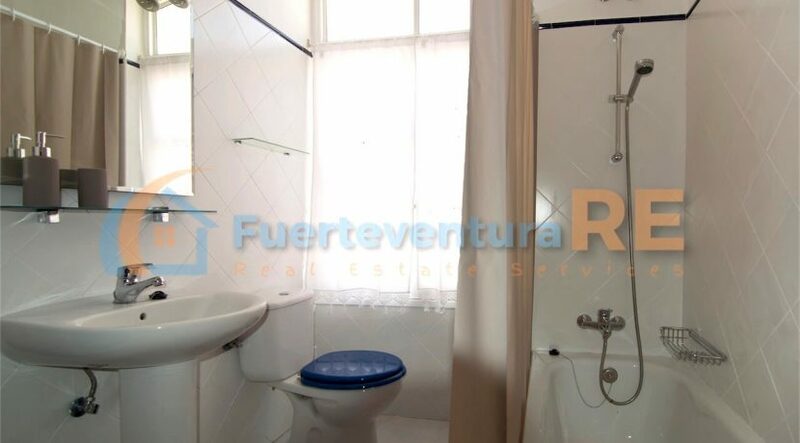 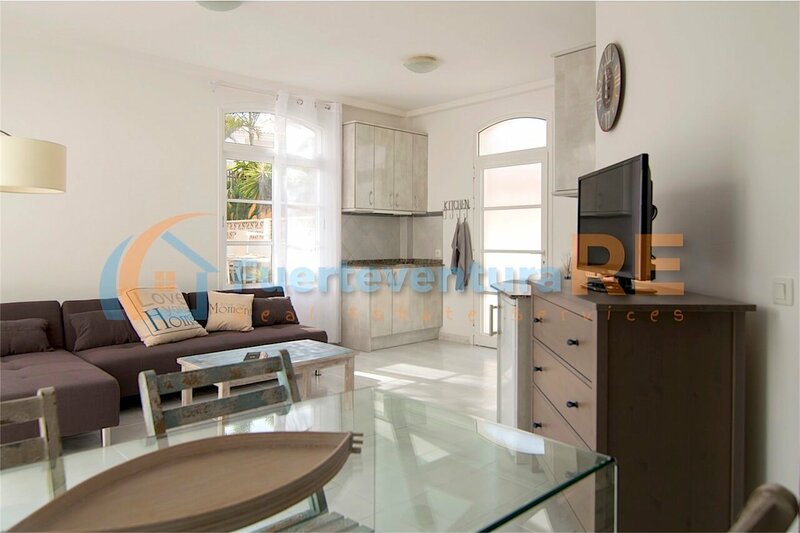 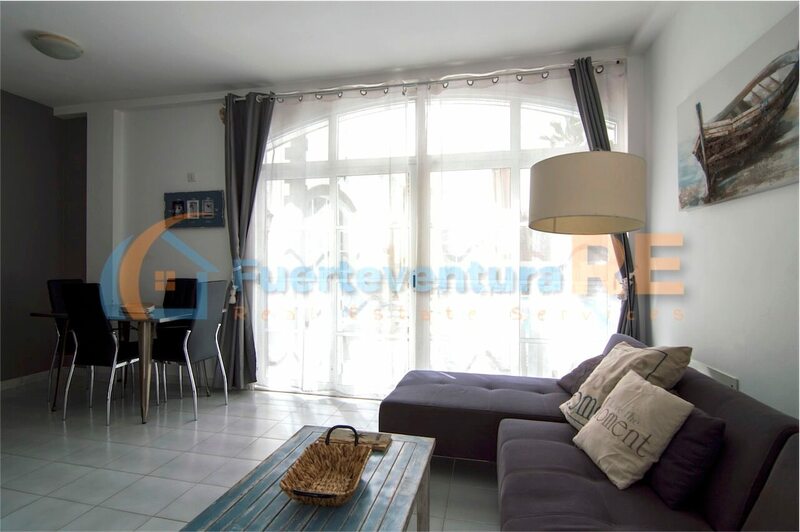 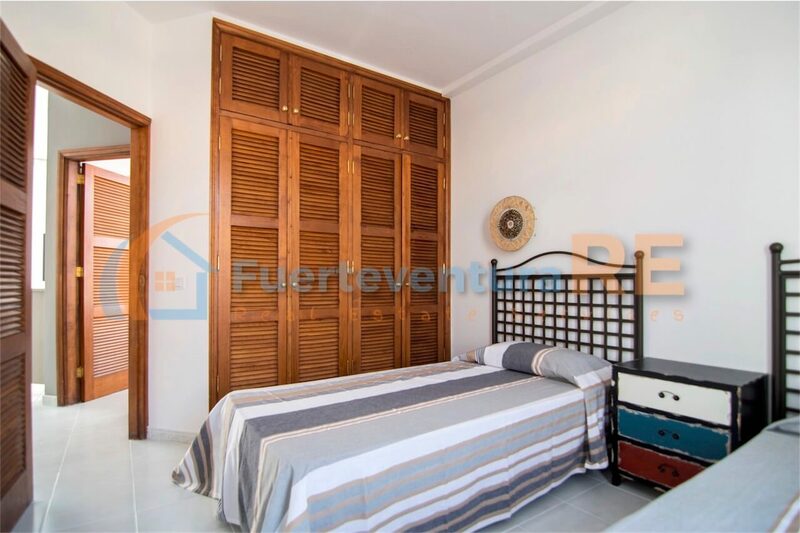 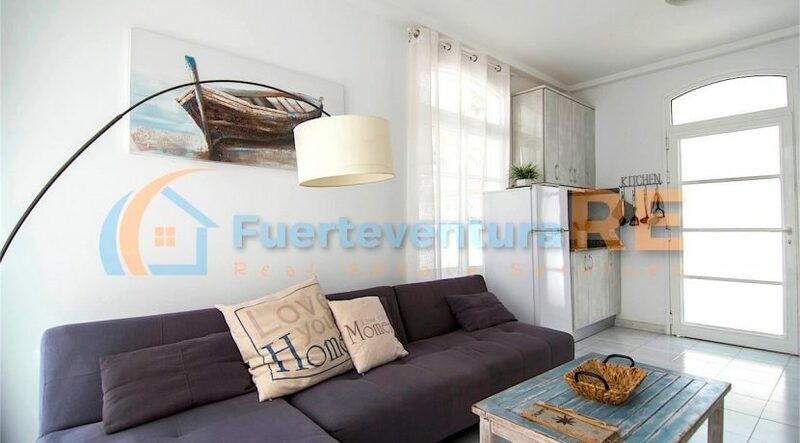 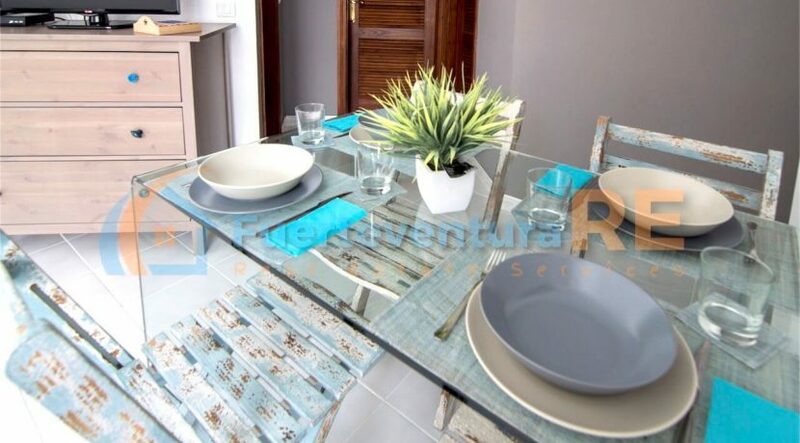 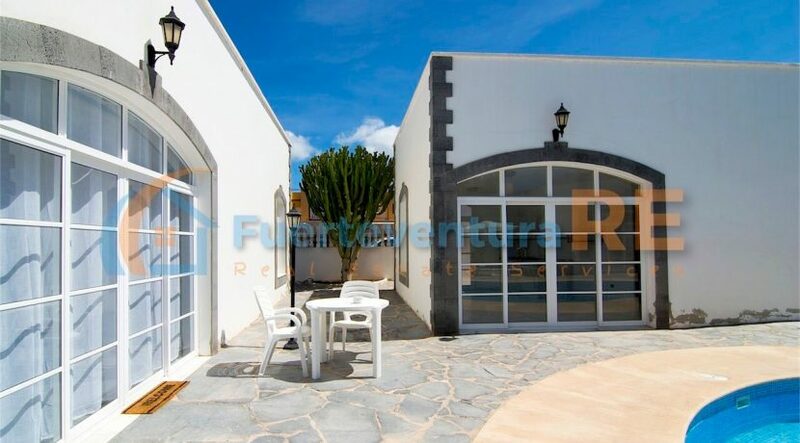 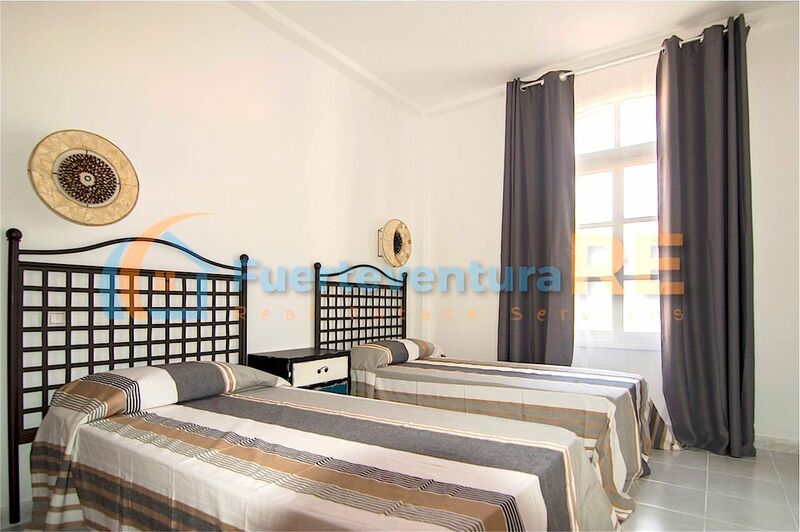 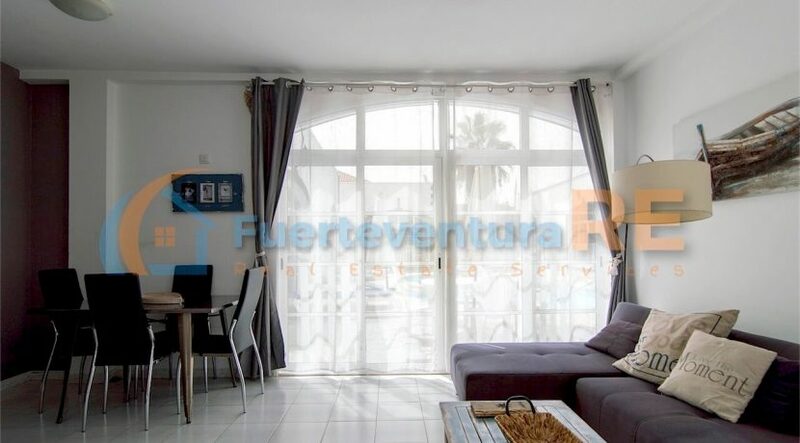 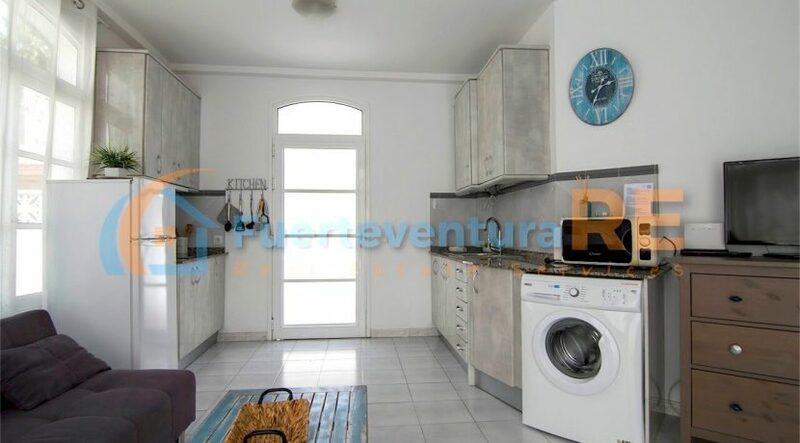 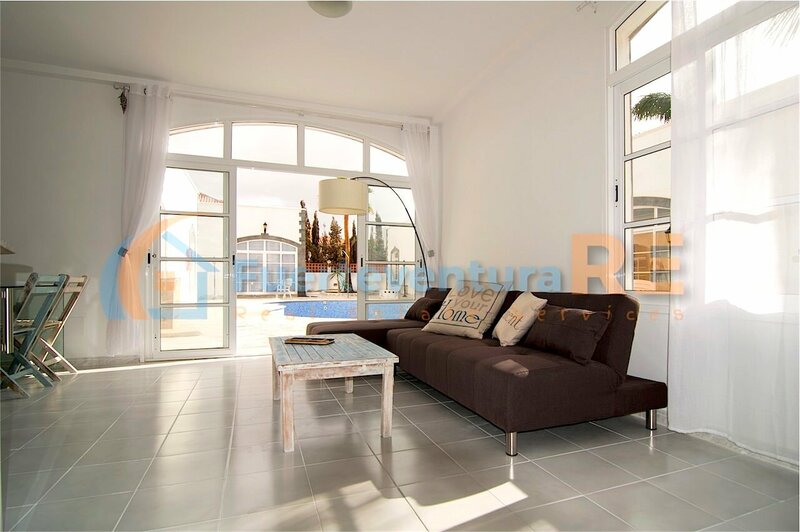 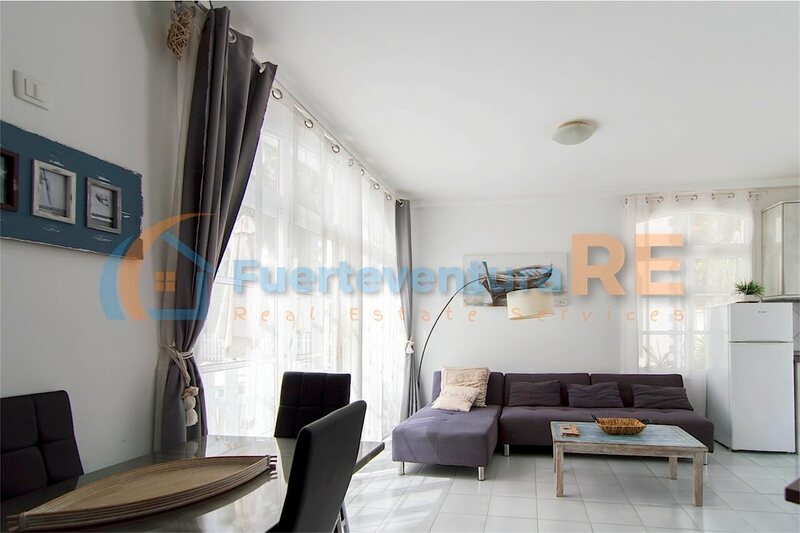 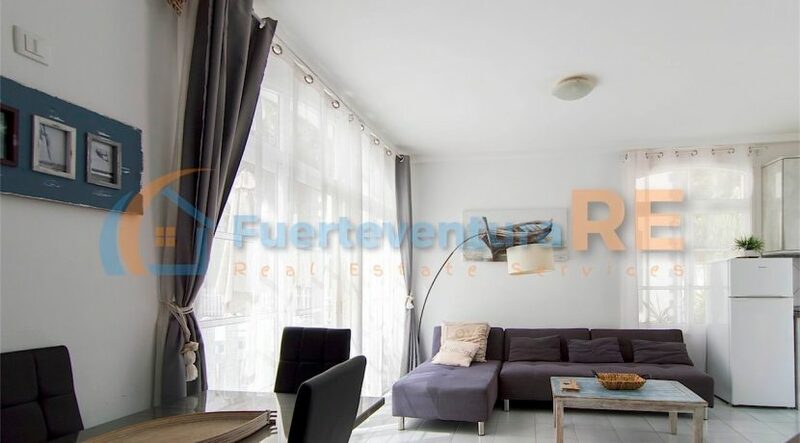 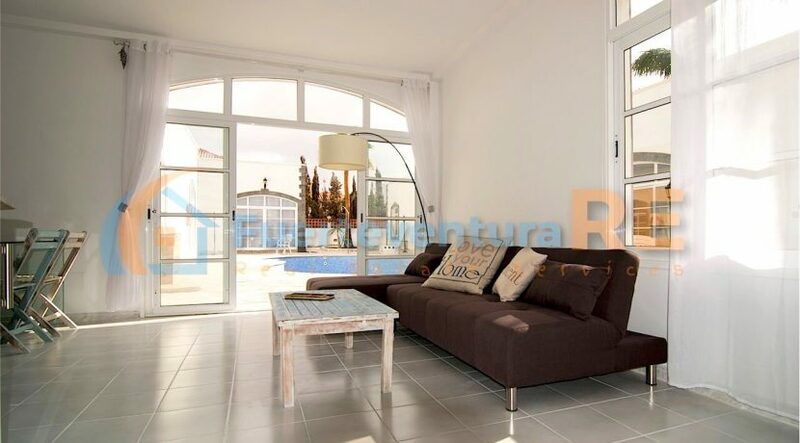 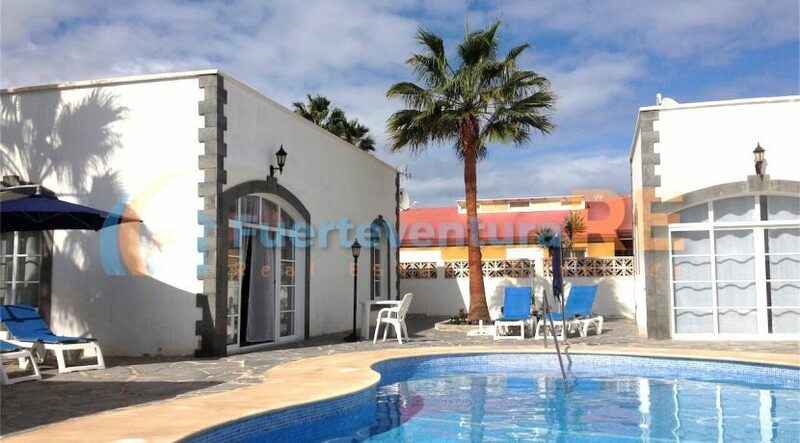 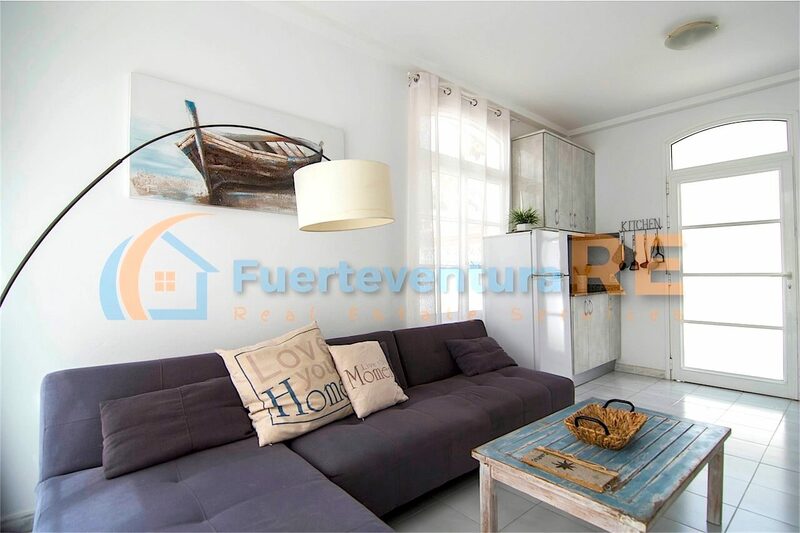 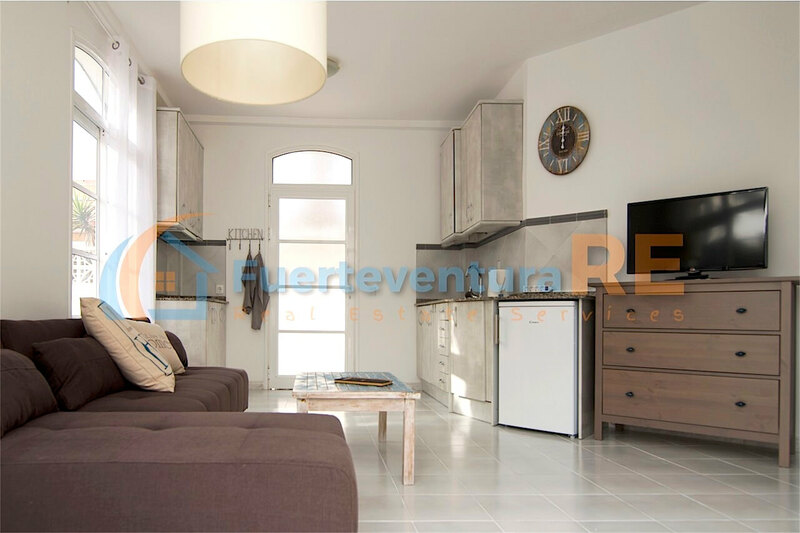 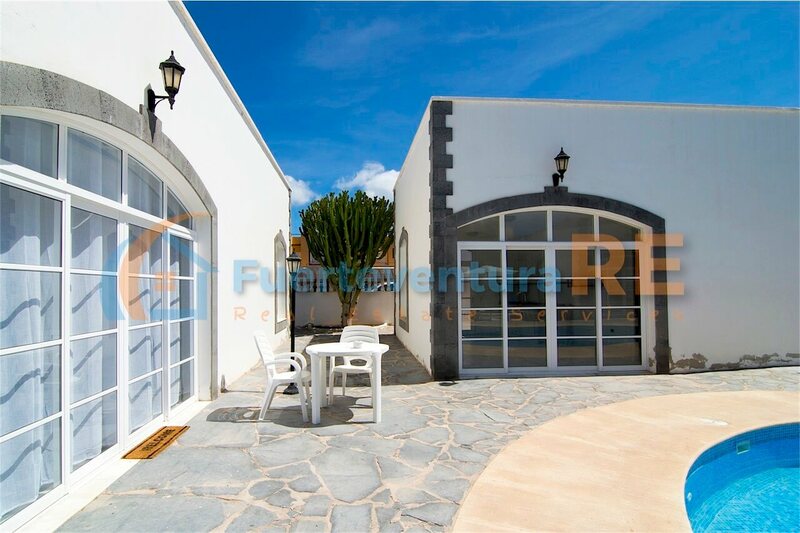 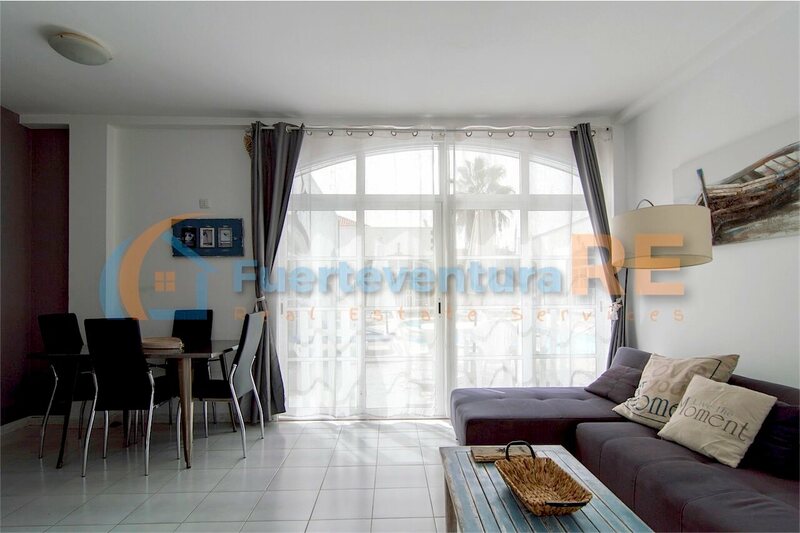 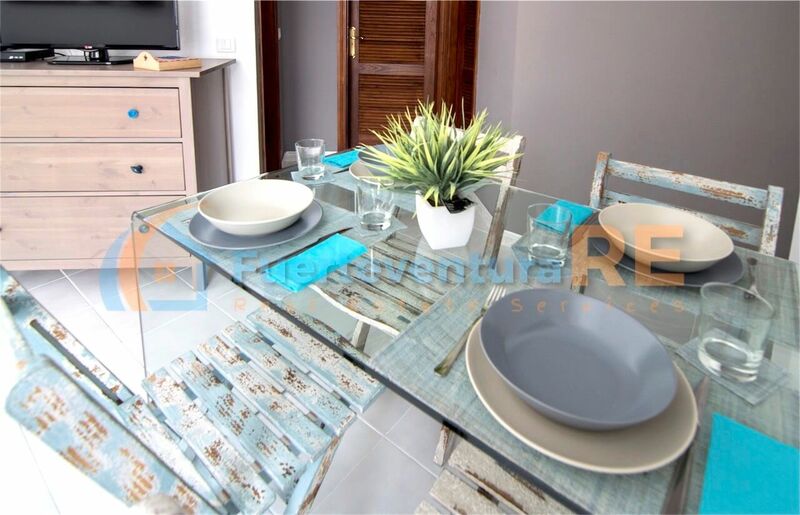 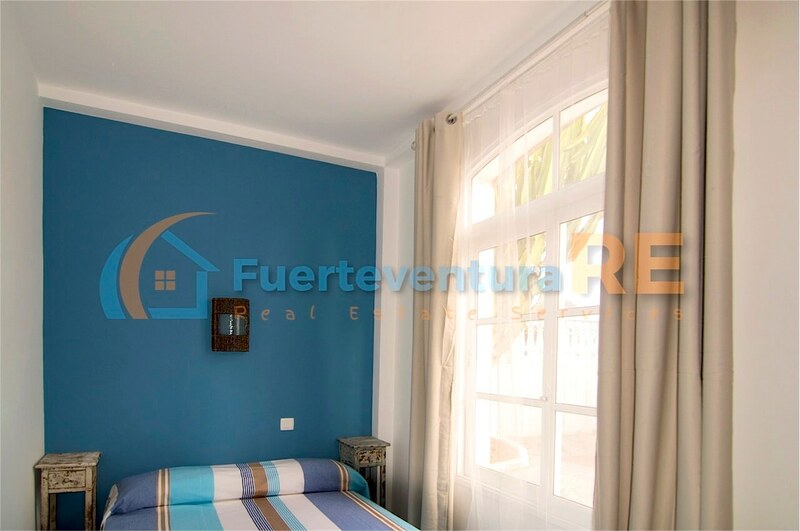 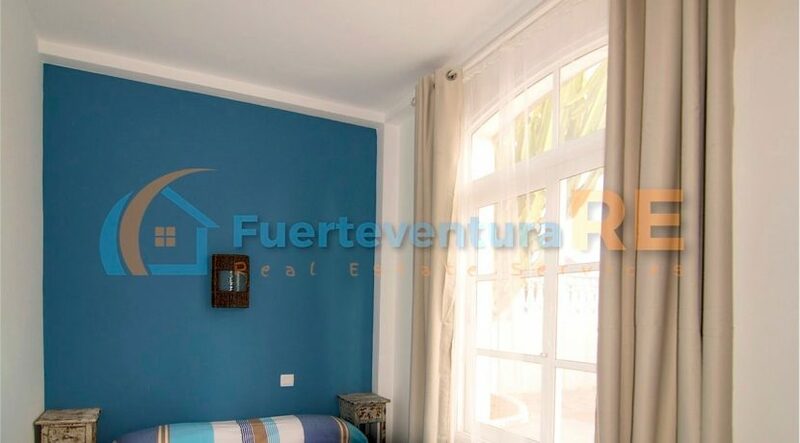 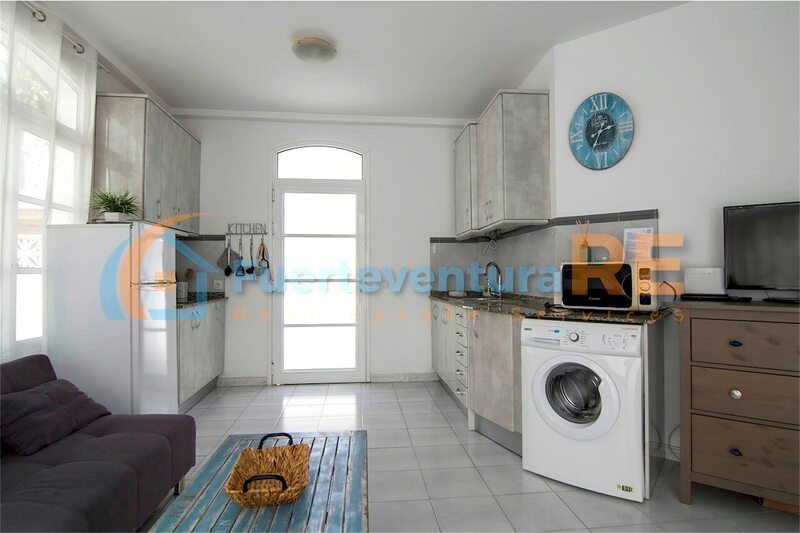 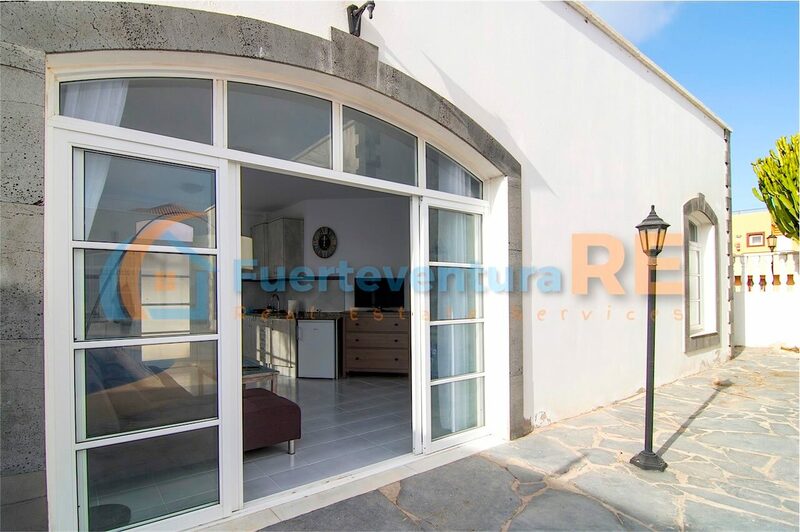 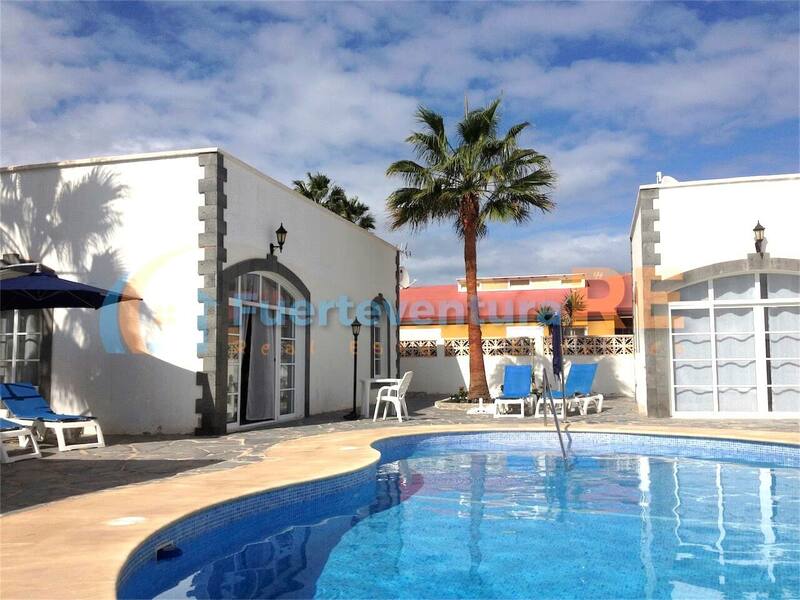 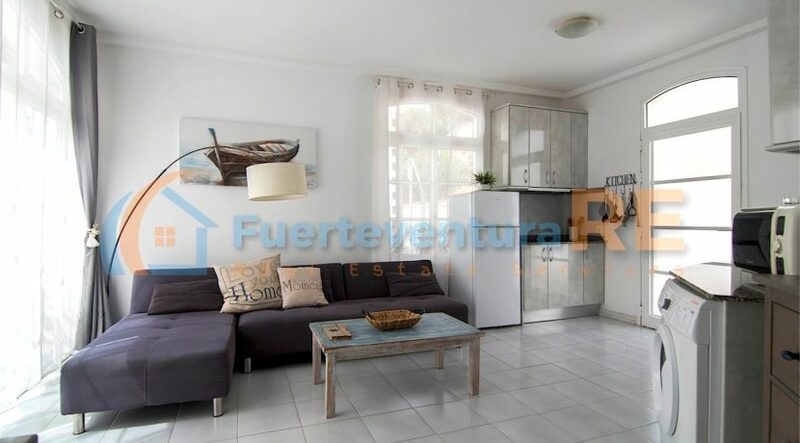 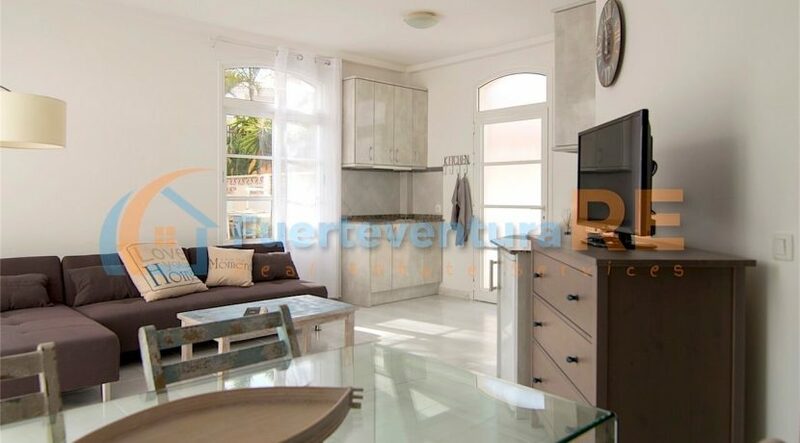 This Residential Villas Nora Corralejo is perfectly positioned and it’s bright and sunny. 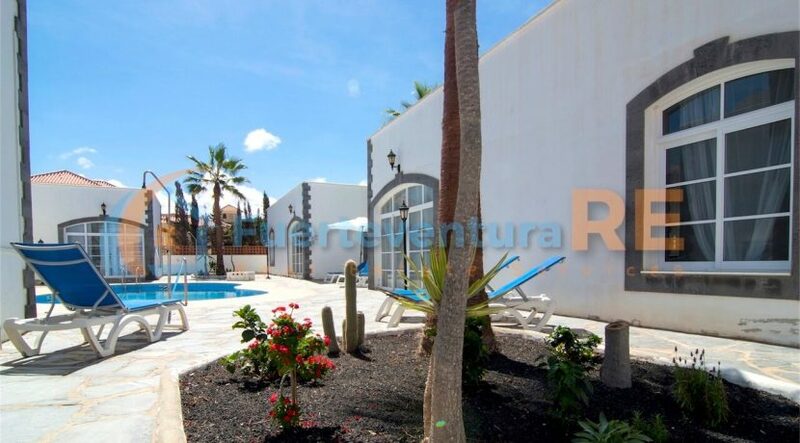 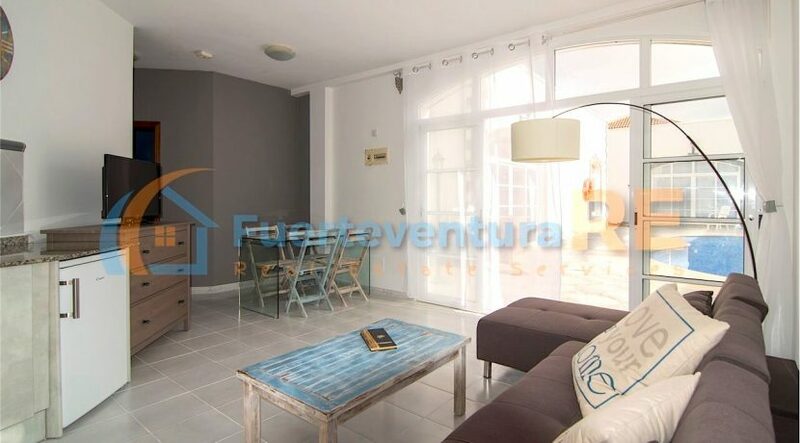 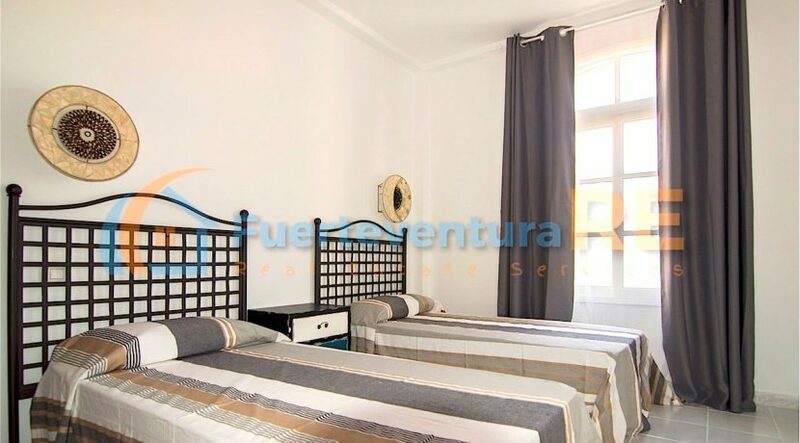 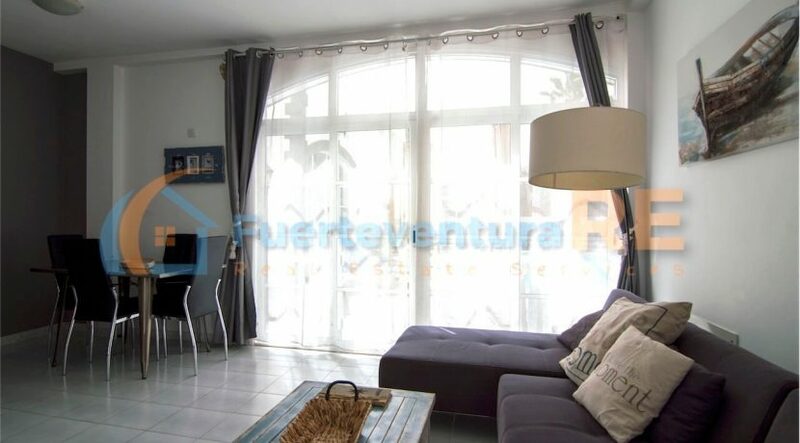 It’s located in a lovely little complex (only 5 villas) in a quiet one way street but only 5 minutes walking from the sea and the shopping center ‘El Campanario’ (supermarket, shops, restaurant, bars/pubs, beauty center and taxi stop) newly renovated fully equipped villas. 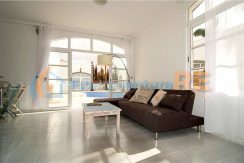 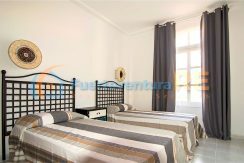 The property consist of large living room with kitchen, two bedrooms, one bathroom and a large terrace facing the pool. 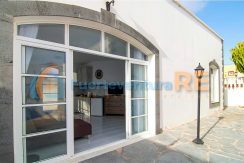 Large windows in every room (bathroom too). 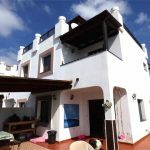 Shared garden with bbq. 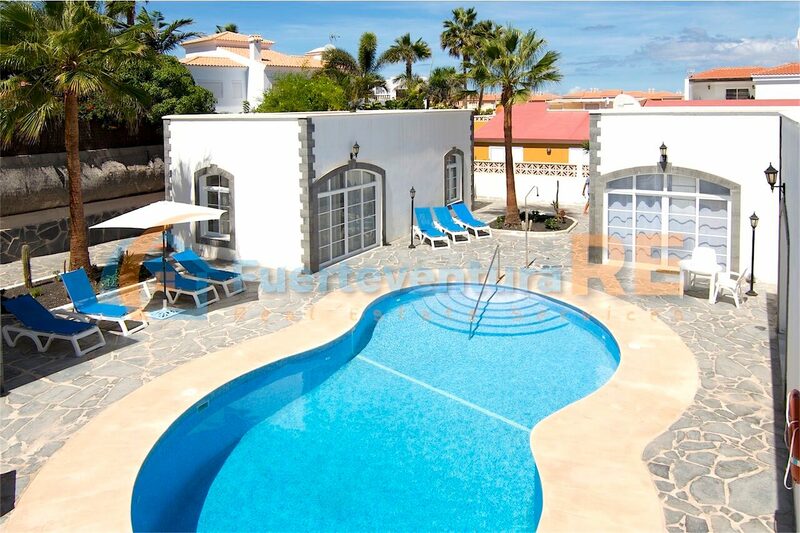 Direct access at the community pool, private parking just out the complex. Perfect solution for a holidays with friends or family. 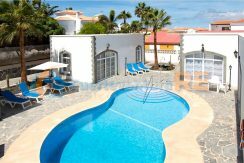 Bus stop 3 minutes walking. Even if all services and taxi/bus are very close. 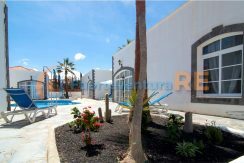 Fully equipped residential complex composed by 5 villas at only 200 mt from the beach and 500mt from the dunas of Corralejo. 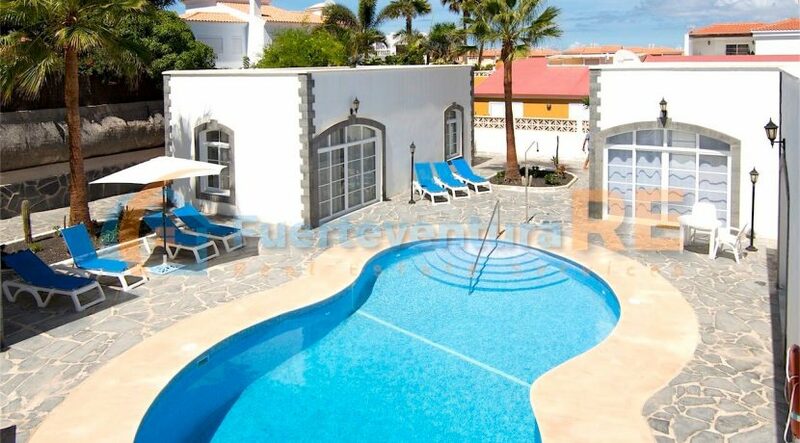 Each villa comes with a 50smq terrace on the roof. 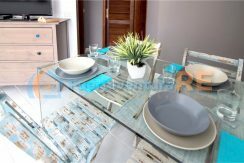 Perfect for either families or groups of friends.